Just What the Ph.D. 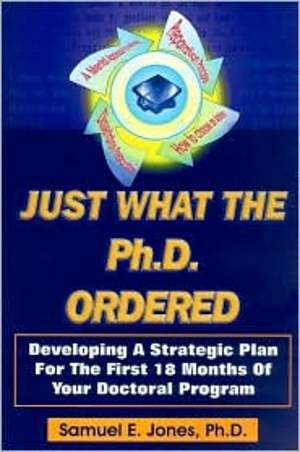 Ordered is a book that provides practical steps on how to succeed in a Ph.D. program of any type. The reader will learn information about what should be done before entering a Ph.D. program, what to do the first and second year in a program, how to hoose an advisor/mentor, common mistakes that Ph.D. students make and how to avoid them, and how to write the dissertation in a timely manner. The book is also inspiring and motivational for the stressed-out student.